A maple tree with red leaves standing on the mountain behind the office. This one turns red very early although the others are still green. And it sheds it leaves at the same timing as the other trees shed their leaves. Currently, the contrast between green environment and this red tree is so beautiful. Since the trees turn red gradually from top to the bottom, from this year, we can enjoy the beauty of them longer than we could before. 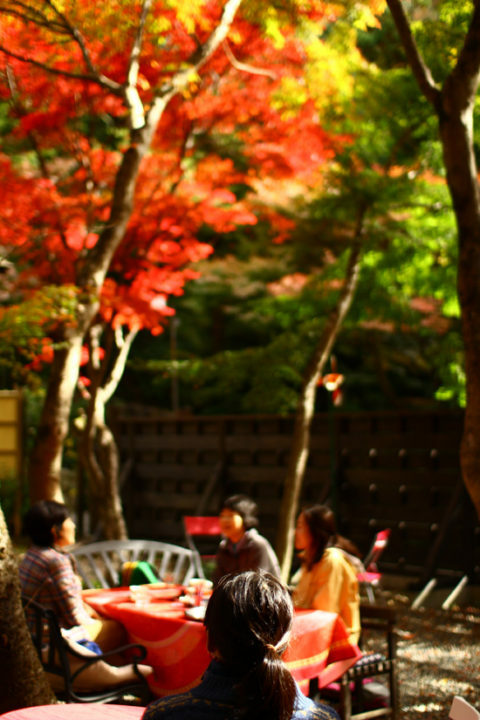 Photo: The maple tree in a Cafe.